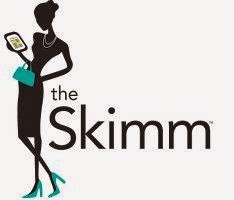 With Style and a Little Grace: Have you heard about...The Skimm ? I have a running group message with my girlfriends and I just love that even though we are all in different cities we can keep up with each others lives. It is also such a great platform to bounce ideas off each other, encourage, or sometimes just learn about cool new things happening that you need to try out. Which brings me to the actual point of this post. My girlfriend was telling us about a great article she saw while reading her morning edition of the Skimm last week. I was intrigued. The Skimm brings you whats going on in the world in the easiest to read, short and sweet package. They break it down to a shortened version to start your day off right. I'm seriously so in love with it (obvi since I dedicated a whole blog post to it). Just thought I would share this gem with y'all!